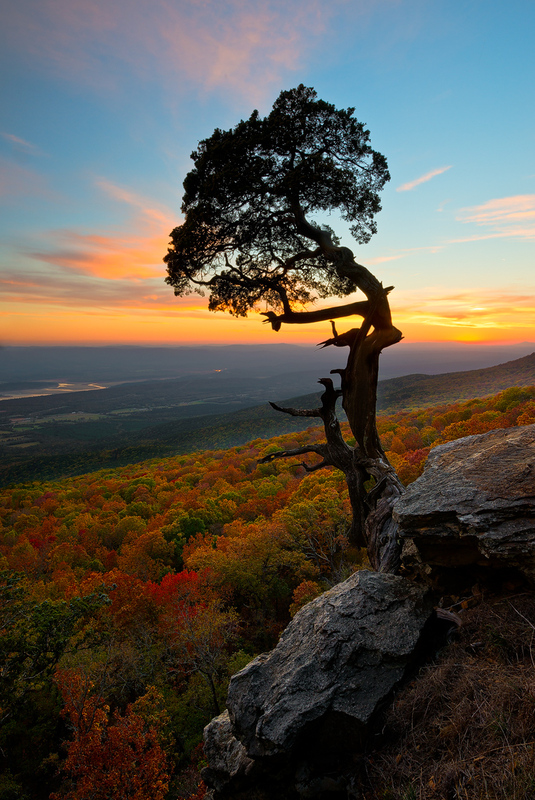 A combination of clouds, light, and peak fall color came together for this beautiful sunset scene at Mt. Magazine - overlooking the Ouachita Mountains. Photo © copyright by William Dark.